Culture refers to those behaviors, values and expectations that are common among individuals and are acceptable to the group, which we’ll call the tribe. 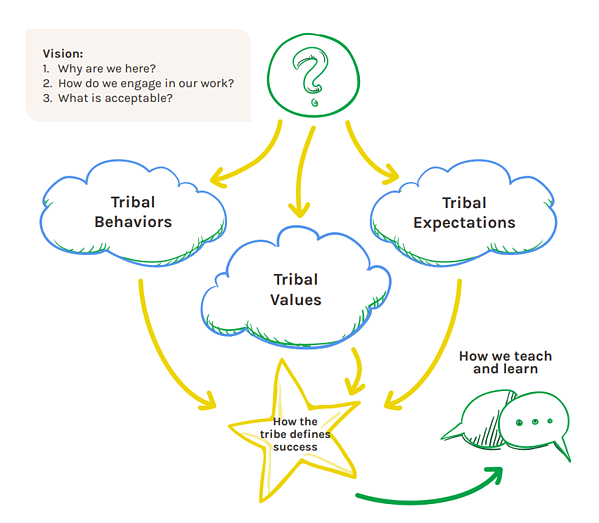 In other words, a tribe is a collection of people who come together around common behaviors, values and expectations. Let's say that you're a principal or a lead teacher. If you take a step back, every person you're leading or who is part of your school or team is part of your tribe. The reason that culture eats strategy and programs for breakfast is that in order to change a tribe’s behaviors, values and expectations, it’s not enough to introduce a new program or strategy. If the culture hasn’t changed, new strategies or programs are just window dressing. 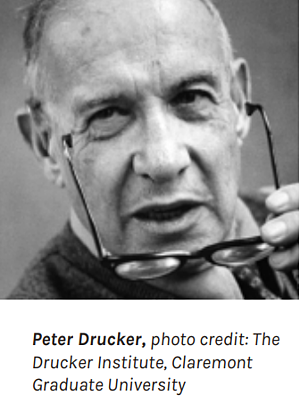 Given this, it’s important to start by examining an organization’s vision and what it defines as success—both of which come down to an organization’s culture. Let’s begin by looking at what we mean by culture in classrooms and in school buildings/districts. The culture in classrooms looks very different in a next generation classroom than it does in a traditional classroom. It’s not just the culture of teaching that is different in a next generation classroom. It's also the culture of learning. For example, in a traditional culture, common behaviors are teachers explaining or demonstrating, and students sitting in their seats and listening to what the teacher is saying. The expectation is that the teachers explain and the students listen; therefore, proficiency is defined in this way: Proficient teachers can explain. Proficient students can re-explain. However, next generation behaviors, values, and expectations are different. In a next generation culture, teachers are valued for their ability to maintain rigor across the three dimensions of the new science standards: the science and engineering practices, the disciplinary core ideas, and the crosscutting concepts. The role of a teacher in a next generation science classroom is more nuanced and skillful than in a traditional classroom simply because a traditional classroom is one-dimensional, not three-dimensional, focused exclusively on delivering content. In a next generation classroom, the expectation for teachers is that they are coaching and refining skills, stepping back and helping students to engage in a productive struggle. In this culture, teachers are valued for their ability to question and challenge students’ skills and thinking. The value in a next generation classroom comes from the teacher who can maintain rigor and adjust supports, who can coach skills and ask questions that lead students to think differently, and students who can engage in that process. The culture set by a building or classroom helps to shape the expectations of both students and teachers. Therefore, leadership needs to focus on coaching and empowering their teachers so they can see others practice, discussing values, expectations, and beliefs about what is possible within their student body and teachers. The vision that’s set by instructional leaders creates the standard that teachers and students will be measured by.